Today’s 1:1 Interview is with a panel of agency owners from Travel Leaders Network, a passionate community of professionals who are focused on mutual success—empowering agencies to grow more profitable, more professional and more efficient thanks to the enhanced commissions, powerful tools, advanced lead generation, innovative marketing and exclusive offers that only an internationally-respected powerhouse can provide. Travel Research Online(TRO): You are part of Travel Leaders Network. What do you believe are the most important factors to an Independent Contractor when they are with a Travel Leaders agency? Russell Reid: All of the tools and support we have available for them. The full network of support for all of the preferred supplies with help on anything the IC’s may need. We also have personalized support from our agency. They deal 95% of the time with one person who gets to know them, and build a working relationship with them. ​Bonnie Lee: Yes, we are a Travel Leaders Associate. Being an associate member (a franchise owner), our agents are able to take advantage of the specialist courses offered by Travel Leaders at an extremely discounted rate. Courses like, Leisure Travel Specialist, Corporate Travel Specialist, Honeymoon & Destination Wedding Specialist, Adventure Specialist, and the newest course Group Specialist! With Travel Leaders our agents also have access to a complimentary CRM called Agent Mate. Agent Mate securely stores credit cards, all your client data, and one of the coolest features (I think) is the PAY NOW button which allows clients to securely send payment directly to the agent for payment, a great time saver. Agent Profiler for web lead generation is a great tool. With Travel Leaders franchise affiliation, our agents are able to display multiple pages, reviews and testimonials at absolutely no cost. Dave Lovick: In past surveys our IC’s have stated that being a part of a well-respected, locally owned agency that provides great training, preferred vendor relationships and lead generation programs. Sarah Nelson: We take our business seriously, so we take our relationships with our independent contractors seriously. We believe in being professional and we believe that our IC’s are our customers, and we do what we can to help you be successful with your customers. The great part of being associated with a Travel Leaders agency is that you are part of a gigantic network, have access to many training programs, and that you have the ability to earn top-tier commissions because of the relationships we have with suppliers. TRO: Travel Leaders has many tools for you to use. What do you see being utilized the most by your independent contractors today? Russell Reid: The online tool of Agent Universe has so much to help them. I think the Agent Profiler is the most used of that toolbox. It allows them to get qualified leads on their specialties based on their profile. It is a huge plus for any Travel Leaders IC’s. Dave Lovick: Our Agent Profiler program is one of the best lead generation tools in the industry and continues to provide great leads to our IC’s. Sarah Nelson: One of the best tools that Travel Leaders offers is Agent Profiler. This is an online lead generation system that has helped our agents and IC’s earn new business, usually in their specific area of expertise. Another great program Travel Leaders offers is In Country Partners. These are smaller local vendors in destinations all over the world, that are familiar with our franchise to help you be an expert in areas you might not be as familiar with. PinSIGHT is a hotel booking engine offered by Travel Leaders, so you can offer and book the best value of hotels without needing a GDS. 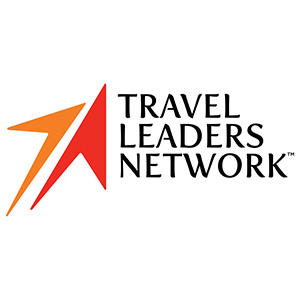 TRO: What would you say are the benefits that Travel Leaders Network offers host agencies like yourself that might inspire other agencies to join Travel Leaders? Russell Reid: So many items. Certainly the support of a dedicated person for the Hosting program. A website to help recruit new IC’s. All of the tools needed to be a host agency, from contracts, to insurance to recommended procedures and back ground checks. All very important for any potential agency looking to be a Host Agency. Dave Lovick: With the Travel Leaders host agency plus program headed up by Lea Diele, this is a game changer – we have been able to grow our hosting business and continue to improve the programs we provide our current independent contractors. Sarah Nelson: As a host agency with Travel Leaders, we have access to Host Agency+, which give you access to being more visible to potential new independent contractors. It also has lots of training and support for agencies who are part of the program, so that you can stay competitive in the industry. TRO: Are you accepting additional Independent Contractors to your Travel Leaders Agency now? If so, what experience level would you require, how quick is the startup, and what type of orientations do you offer? Russell Reid: Yes, we are accepting new IC’s now. All levels. If new to the industry, there is a longer time to be trained and vetted usually a few weeks. If experienced, it only takes a few days to have you up and running. We go over all our programs and have webinar and recorded training on all Travel Leaders programs. Bonnie Lee: Accepting all levels of experience has always been what we do. Why? When I started in travel, I had no experience in the industry and absolutely no travel experience. I was a mom of 4 kids, but felt I could learn. Because someone took a chance on me, I believe in paying it forward, by giving others the same chance at the “golden ring” that I was given. Today Travel Quest bills over 60 million in travel yearly. Dave Lovick: We are always recruiting independent contractors and enrolled self-starters new to the business, experienced travel consultants that want to move out of the agency as an employee and start their own travel business, along with current IC’s looking for a new home that will support their need to grow their business. Sarah Nelson: Our agency is always accepting applications for independent contractors who are not new to the industry. We are currently developing a training program for new to the industry agents, which we hope to roll out at the end of 2018 so that we can be more inclusive of both new and veteran independent contractors. TRO: As a host agency in today’s travel industry, what makes you stand out to IC’s? Russell Reid: For us, it’s our service. We have one dedicated IC manager that you will deal with. If you need the owner, you have access to the owner as well. We pay via ACH twice a month, so there is no need to wait months for payments or checks in the mail. We have automated invoicing and reporting right on the web for our IC’s to use 24/7. Dave Lovick: We are a family owned and operated host agency that has seven retail leisure stores, a Travel Leaders Academy, and operates a corporate travel division. We live, sleep, and breathe travel. Sarah Nelson: Our agency has an Independent Contractor Specialist to help with all of your needs. Cecilia can help get you set with invoicing, supplier questions, training, commission questions, and about anything else you need. We offer access to every GDS, so no matter which you use, you won’t have to worry about learning a new system when transitioning to our agency. We have a robust array of contracts with airlines that allow you to earn commission. Our Operations Manager, Robert, knows most of these contracts off the top of his head and works with all our IC’s when they have air questions or issues with tickets. Our agency offers incentives with some of our preferred preferred suppliers and invite our IC’s to participate and attend events and trips with them. TRO: What do you think hosting will look like 7-10 years from now? Bonnie Lee: Probably more recognition from suppliers to where the IC’s are actually located. That’s one of the biggest challenges of the day, getting our IC’s across the country invited to events in THEIR area. As hosts we all work to accomplish the goal, but it is unfortunate that we are all working it from different angles. I look forward to the day when all suppliers invite all agents to any of their events across the US no matter the location of their host. Dave Lovick: I think hosting will continue to grow, and I see the model moving even more towards a realtor shop or salon. Rent a desks options. I could see our retail offices moving to a complete rent a desk model in the future. Sarah Nelson: I believe hosting will continue to grow. Agents will continue to specialize instead of generalize. The ability to travel and see the world is the main perk of working in the industry. As an independent contractor you have full flexibility with your schedule. If you set yourself up right, you can be successful selling travel from anywhere in the world. The more clients see you have traveled to a destination and experienced it first hand, the more likely they are to trust your judgement and use your services.